Bomberman is making a comeback and that comeback is taking him exclusively to the Nintendo Switch! “Since its release in 1985, Bomberman has been a familiar party-battle game for many years. Now, Bomberman is coming back as “SUPER BOMBERMAN R” to Nintento Switch. In SUPER BOMBERMAN R, the simple rule remains the same: operate the main character (Bomberman), place bombs, and battle with enemies and rivals, but it’s coming back in a modern style with 3D stages and photo-real graphics. You can enjoy battles with rivals from all over the world. 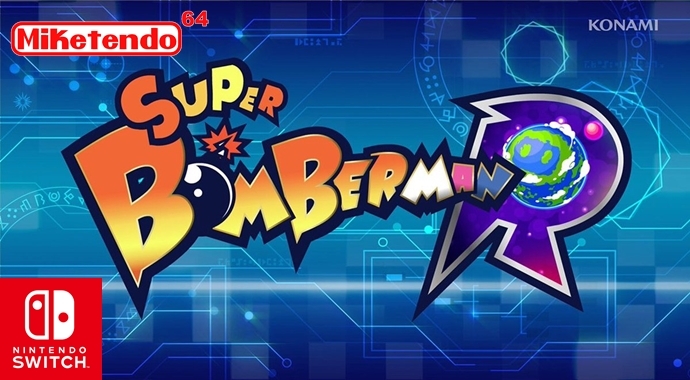 Bomberman is back with the same game system and controllability with a fresh take on a classic title. Bomberman’s siblings and well-known enemies are back with rich personality3D stages with dynamic environments. Enriched story with all-star voice actors. And now it’s footage time! Interesting! I haven’t played Bomberman in awhile!